This week at Crafter’s Anonymous, the online class made a diorama card. I have always wanted to try one of these, so here it is. The back layer is Very Vanilla, the middle layer Not Quite Navy and the front is Baja Breeze. 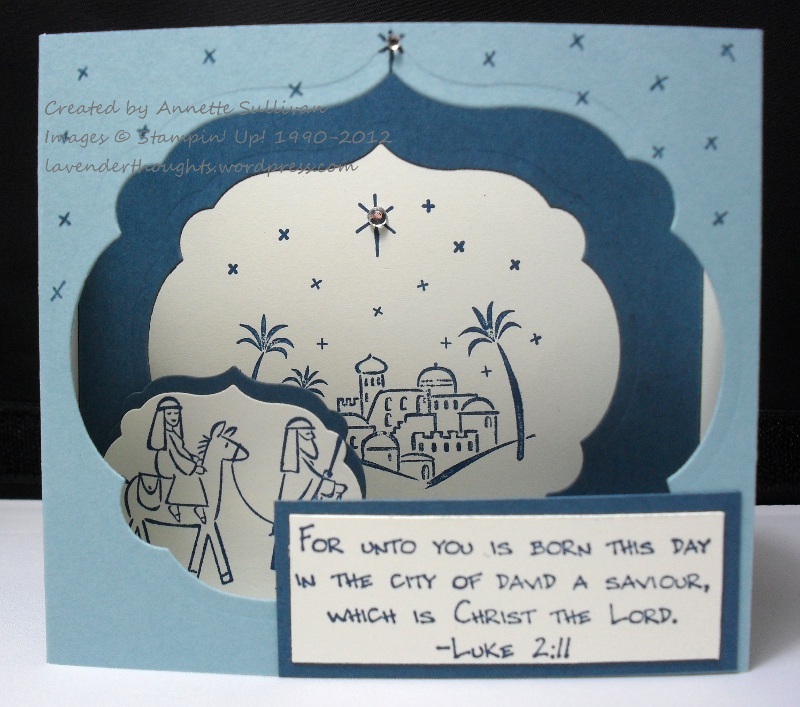 I used the retired, but much loved City of David stamp set which I think is just perfect for this type of card. All stamping is in Not Quite Navy. The Labels Framelits Dies provided the shapes, and some Rhinestones added bling.